Whitefin offers an unforgettable blend of beauty and sheer speed. Experience the thrill of sailing on a spirit of tradition racing sloop, beneath a towering 44-meter mast with an extensive sailplan. This classic yacht boasts all the modern day luxuries above and below deck to ensure your stay is as comfortable as any 5 star accommodation. Whitefin is available for luxury charter, exclusive events and regattas, in the Mediterranean area. Charter itineraries include Croatia, France, Greece, and Italy. 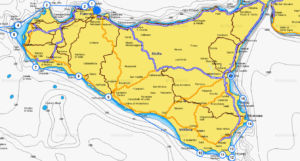 Examples of destinations are: French Riviera, Saint-Tropez, Cannes, Monte Carlo, Corsica, Bonifacio, Sardinia, Costa Smeralda, Porto Cervo, Porto Rafael, La Maddalena, Caprera, Tavolara, Porto Rotondo, Budelli, Tuscany (Argentario, Capraia, Elba, Giannutri, Giglio), Naples, Pontine Islands (Capri, Ischia, Positano, Procida), Amalfi, Aeolian Islands (Alicudi, Filicudi, Lipari, Panarea, Salina, Stromboli, Vulcano), Aegadian Islands (Favignana, Levanzo, Marettimo), Sicily, Greece, Aegean Islands (Ithaki, Kefalonia, Paxos, Zakinthos), Croatia, Kornati Archipelago. Prospective guest? For booking please contact your trusted charter broker. Prospective broker? Whitefin is listed on the YACHTFOLIO being part of The Worldwide Yachting Association (MYBA).